After more than two years in the making, federal legislation known as the 21st Century Cures Act passed Congress and was signed into law. The landmark legislation was one of the final bills signed into law by President Obama. In addition to providing support for research at the National Institutes of Health (NIH) and resources for new drug and device approval at the Food and Drug Administration (FDA), the bill also seeks to improve and support programs and policies for maternal health and mental health. "The Preeclampsia Foundation strongly supports this increased funding to address postpartum depression, highlighting its direct link to the adverse outcomes often associated with preeclampsia, and the need to ensure a woman's health is supported during pre-conception, pregnancy, and the postpartum period," said Eleni Tsigas, Executive Director. The legislation provides resources for the screening of and treatment for maternal depression, authorizing $20 million over four years for state grant funding to establish, improve, and maintain programs for screening, assessment, and treatment services for maternal depression for women who are pregnant or have recently given birth. States applying for grants will have to demonstrate how a program will increase the number of women screened and treated for maternal depression and improve access to those services. Priority will be given to states that enhance access to screening services for maternal depression in primary care settings. States that are awarded grants will be required to use funds to provide training for healthcare providers and develop materials for providers on screening, treatment, and follow-up support services. Awarded states will be permitted to use funding to link women to community mental health resources and support groups and utilize telehealth services for rural and underserved areas. The new law also establishes an interagency task force to address the lack of existing research into the safety of prescription drugs and other medications used by pregnant and lactating women. 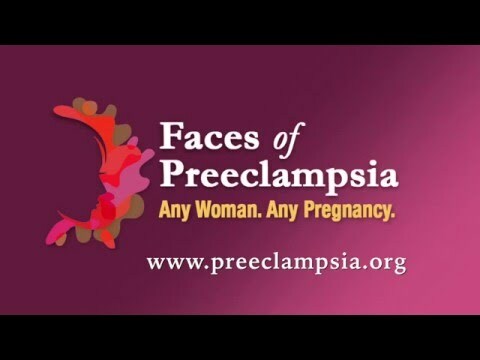 The Preeclampsia Foundation supports clinical trials to identify safe medications that can help treat chronic conditions and also support new therapeutics to address preeclampsia.